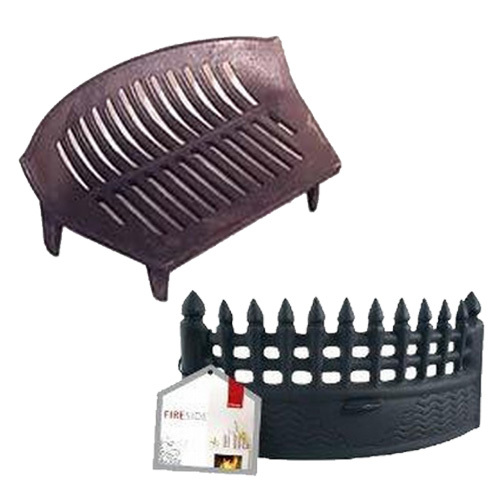 SKU: 2223285 Category: Fireplace Bundle Deals Brands: McParlands. This fireside package that offers three of the main components you will need to have a fantastic looking and very functional safe fireplace in your home. 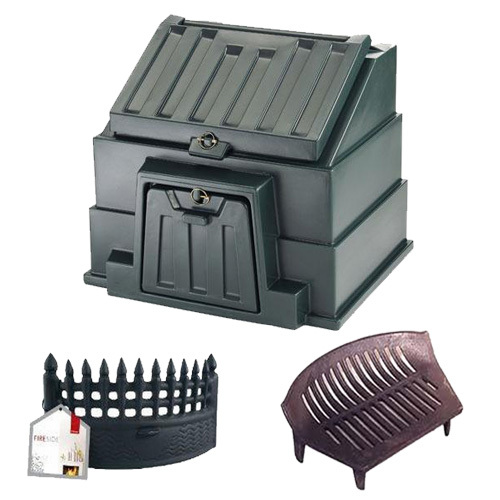 Designed for the storage of coal slack wood and peat briquettes. 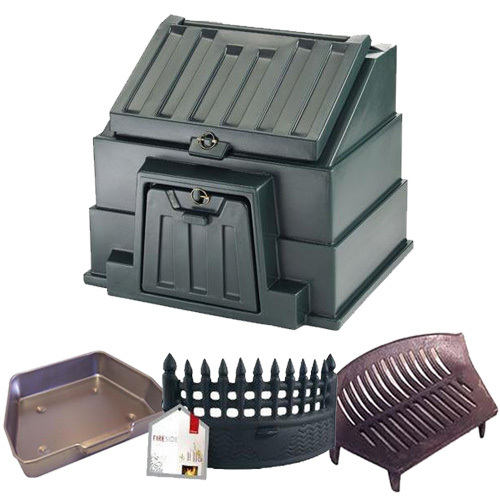 For a detailed product description please see the Coal Bunkers category in the Garden section of our website. 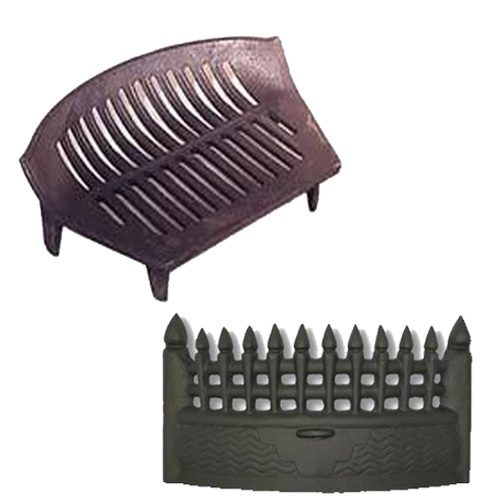 The Deville Castle 18 Inch Fire Fret is made to suit 18″ fires. This is the most essential component of your fire. This grate has 4 legs. 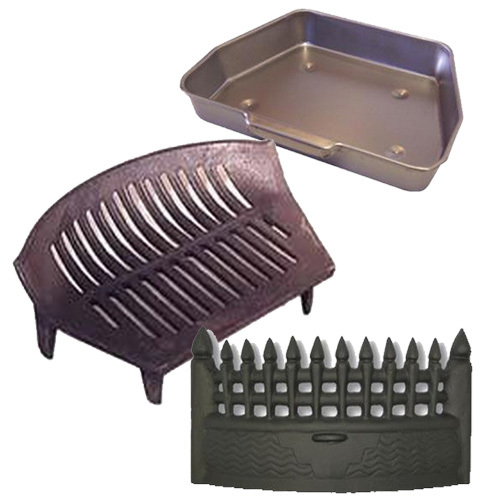 It is extremely robust made from a high quality casting and is more than capable of withstanding everyday use.